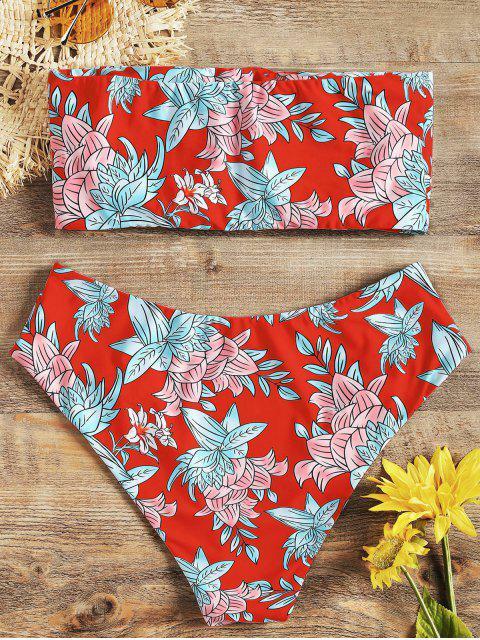 [22% OFF] 2019 High Cut Floral Bandeau Bikini Set In RED | ZAFUL .. I really love the colors in this swimming suit, they look exactly like the photos. I am about 5’4”-5’5” and 128 pounds. I usually wear a medium or large in swimming suits but the medium fits great! 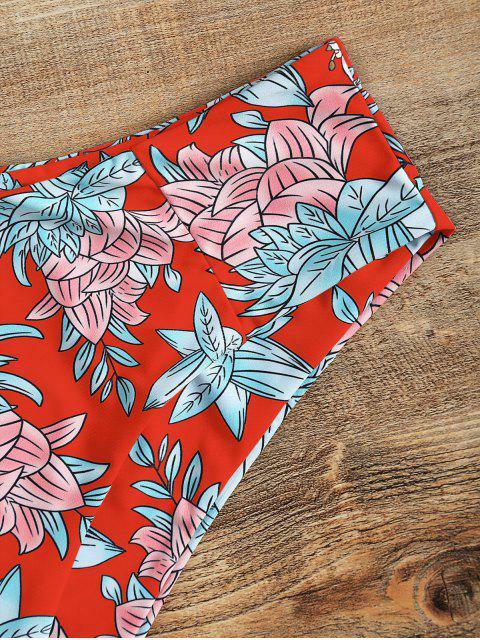 The pattern on this swimsuit is very cute! I ordered a small and I’m 5’1, 125 lbs and it was a little big. It was almost like there was extra material but I still love wearing it. 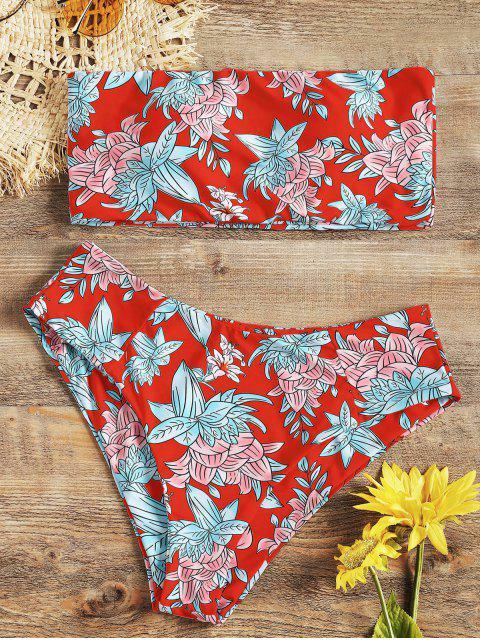 Sunbathe in style in this two-piece floral print swimsuit set. The allover floral print accents on the top and bottom add a beautiful look that catches the eyes. The bandeau top with soft pad, high waisted swim bottoms is a flattering detail. The soft and stretchy material, you can have even more fun with this swimwear.